So, Do you want to install TWRP Recovery on your Redmi 6 Pro device? Then, Here I have the complete step-by-step guide that will help you to install TWRP Recovery on your Redmi device. Installing TWRP on your phone lets you install Custom ROM’s as well as you can easily be able to install Rooting Package like SuperSu on your device by booting your device into Recovery mode. Also, Don’t skip any of the steps which are given below. Redmi 6 Pro comes with 5.84inch Full HD Display including Notch. The device has a Qualcomm Snapdragon 625 chipset and runs on MIUI 9 Android 8.1 (Oreo) and also be upgradable to Android P (9.0). Redmi 6 Pro has two different variants, 3GB of RAM with 32GB of internal storage as well as 4GB of RAM with 64GB of internal storage. The device comes with 12MP + 5MP dual rear camera with flash, and the Front camera holds 5MP selfie shooter. The device carries a 4000mAh battery which is quite useful for the users who needs a longer battery life. So, Without wasting much time on this. Let’s dive into the guide. Your device should have at least 70% of battery. Download TWRP Recovery file from here. First of all, Make sure that you have enabled USB Debugging mode on your device. Now, Open the downloaded ADB Fastboot tools file on your PC/Laptop. Now, Copy-paste the TWRP Recovery file on ADB Fastboot tools folder on your PC. Make sure that both the recovery image and adb tools are in the same folder. Now, Power OFF the device and Turn it ON by pressing Volume Down key + Power Key simultaneously. The device will get into the fastboot/bootloader mode. Then, Connect your Phone to the PC via USB Cable. 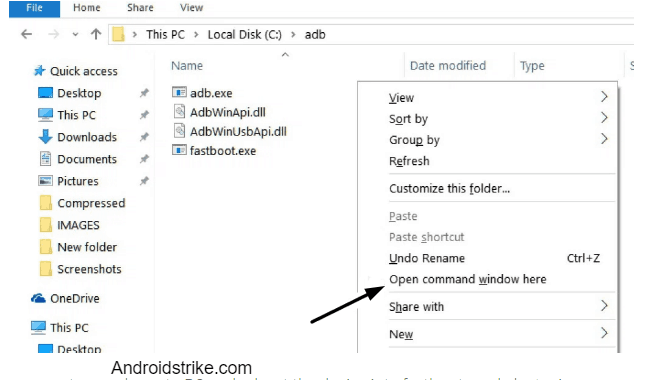 Go to ADB tools folder and press Shift key + Right key and open the command prompt window and then follow the below step. Now, Execute the following command on the ADB Command Prompt Window. If your device gets detected. Execute the following command. After that, Type this command too. The following command will Reboot your device. Now, You’re done installing TWRP Recovery successfully on Redmi 6 Pro device. 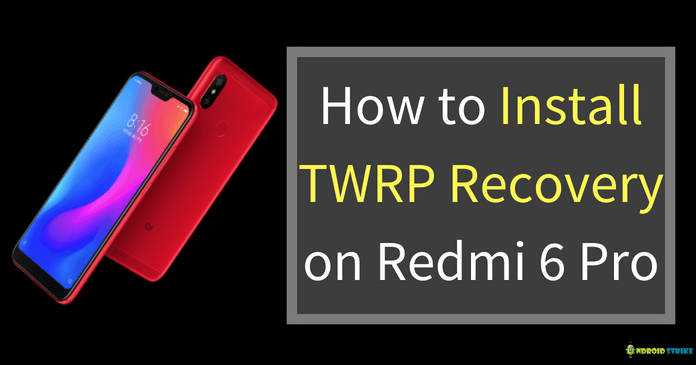 I hope this guide helped you to install TWRP Recovery on Redmi 6 Pro. If you face any problem installing it on your device. Then, please do let me know in the comment section below. I will be there to help you at any time. Also, Do share this article with your friends and relatives. Previous articleHow to Fix “Unable to resolve dependency for ‘app@debugcompileClasspath’ Could not resolve android studio” Error?